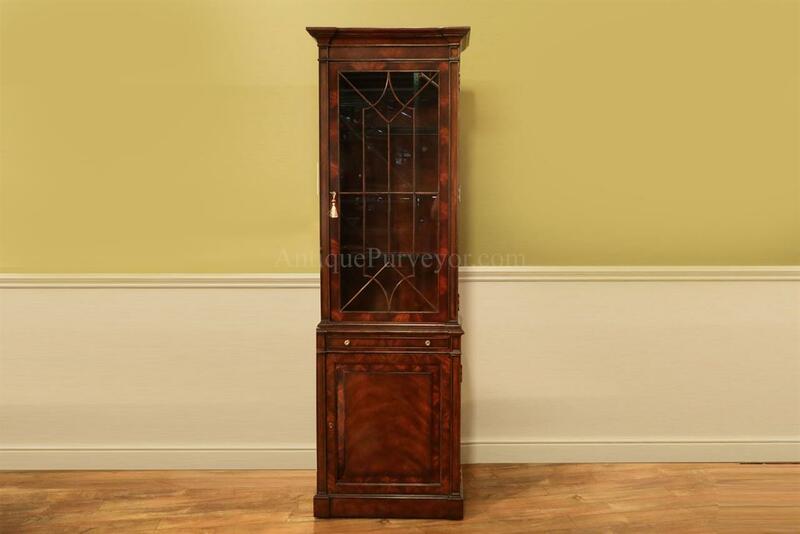 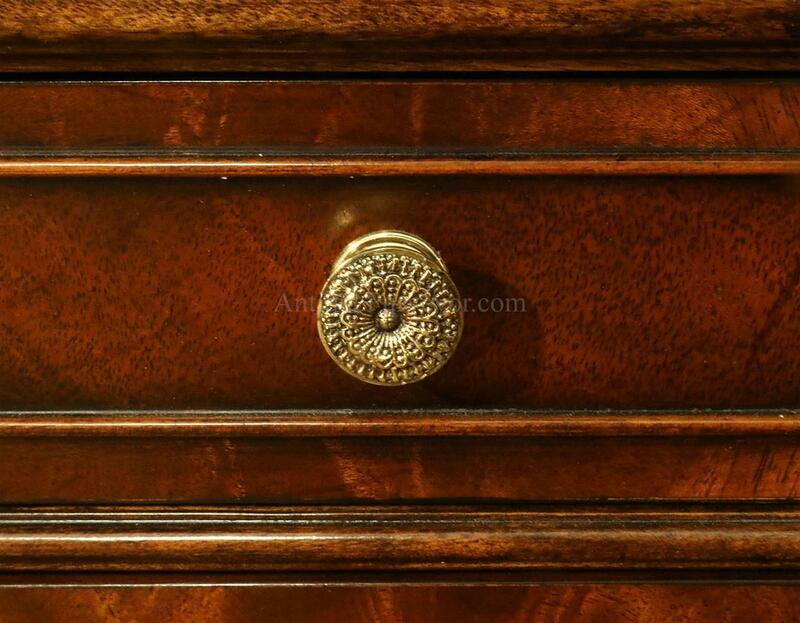 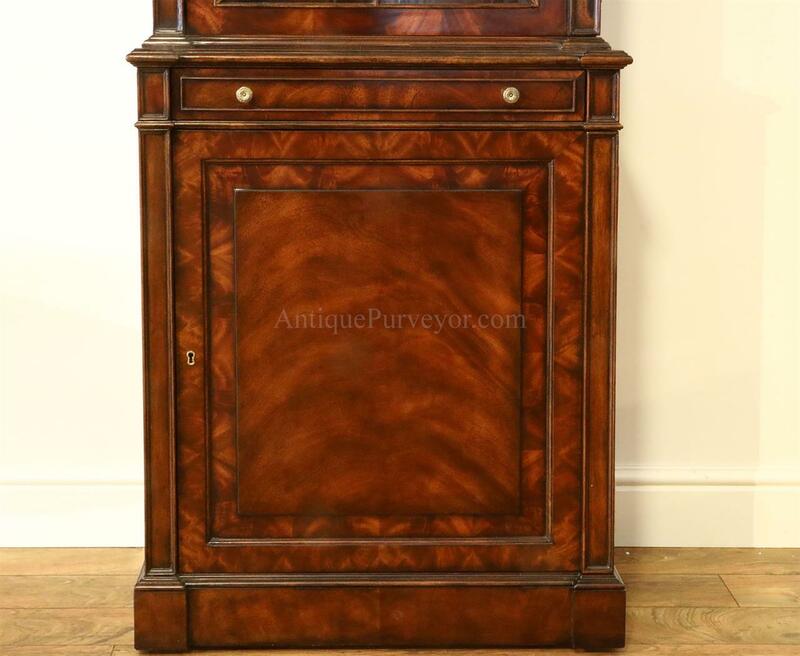 Description: Small mahogany china cabinet for a formal dining room. 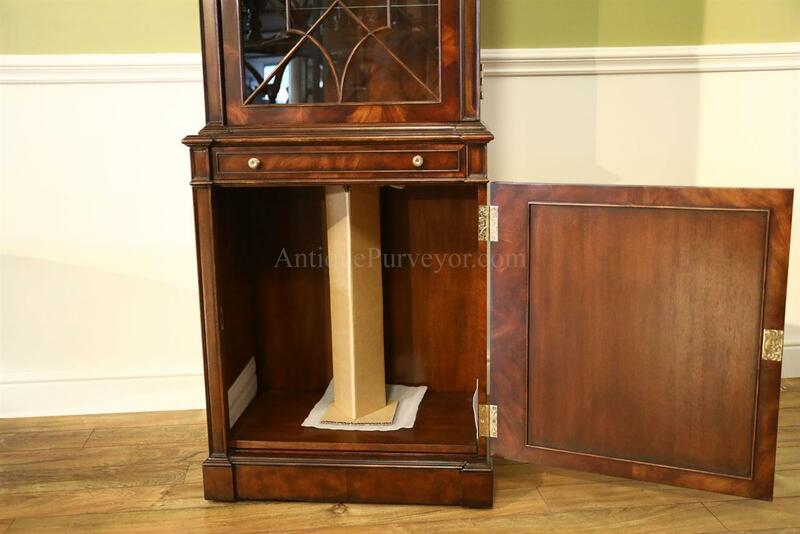 High end, well made display cabinet. 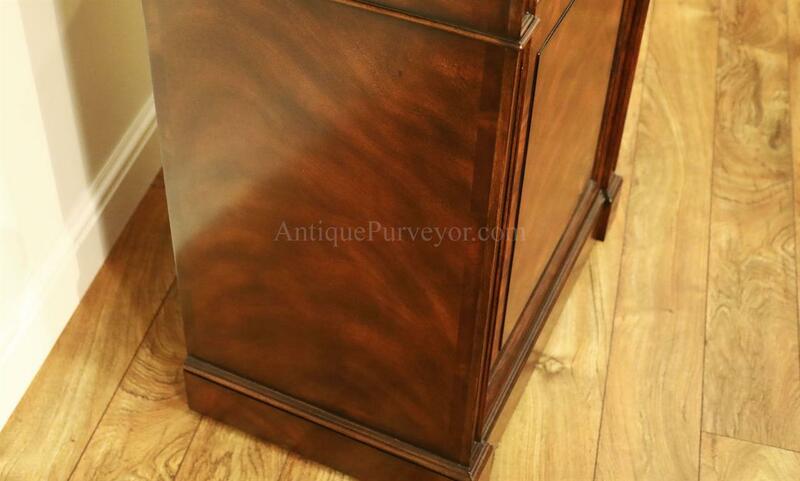 Molded Cornice, and a simple designer cabinet. 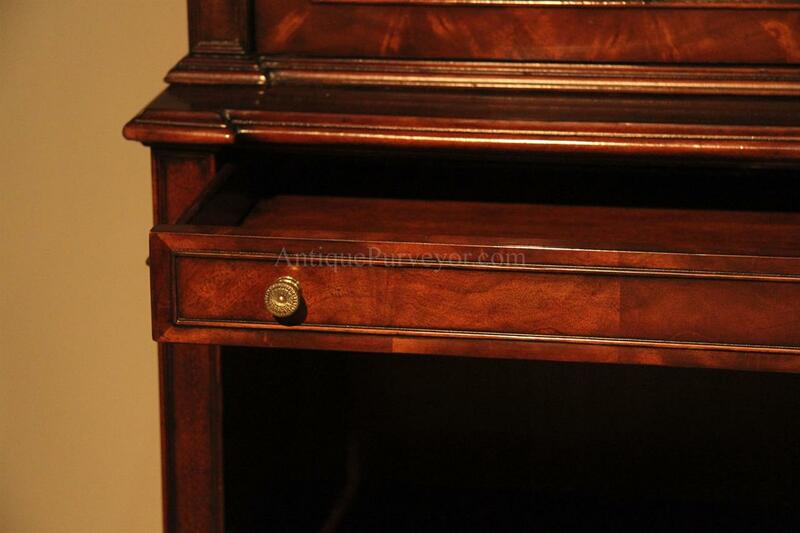 These cabinets works well as pairs in a dining room or office. 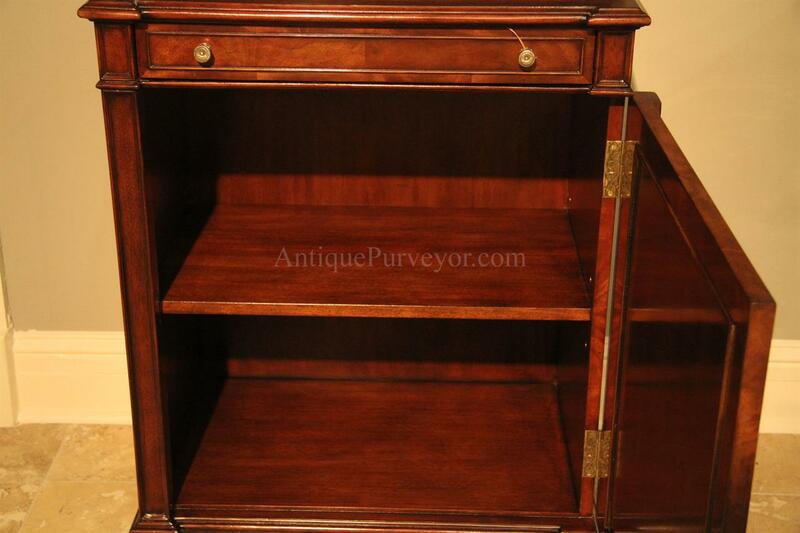 Serves as a great bookcase as well. 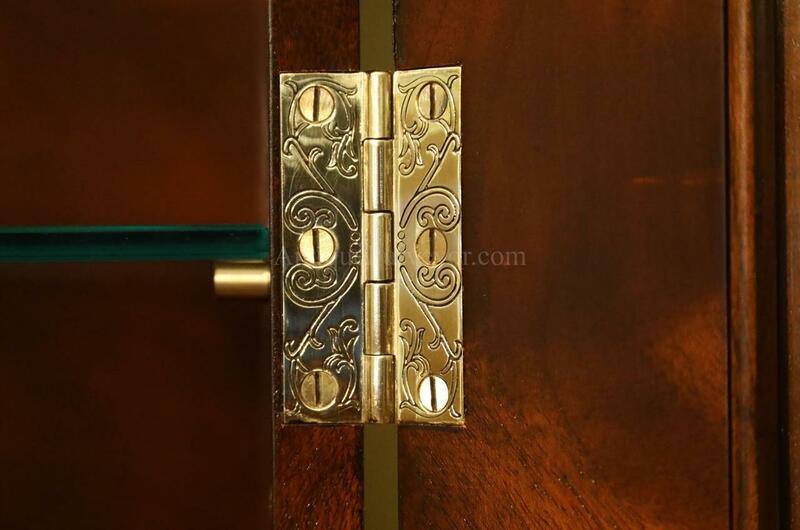 Glass door with two adjustable glass shelves. 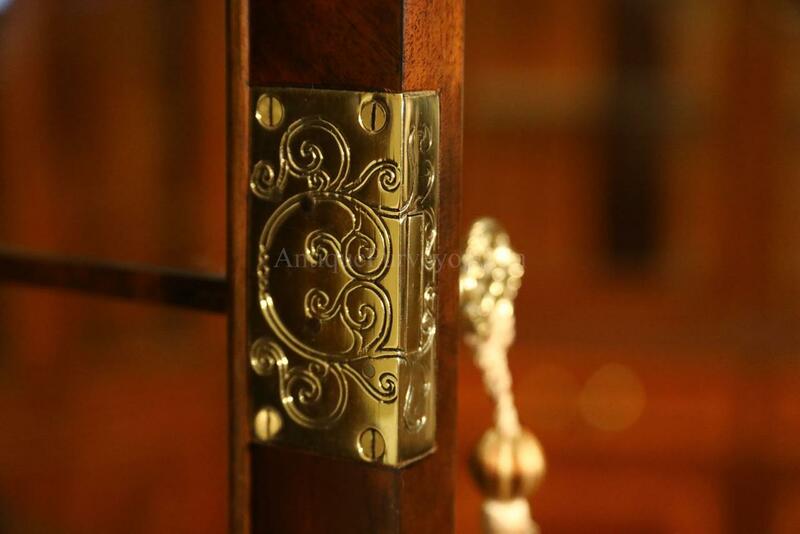 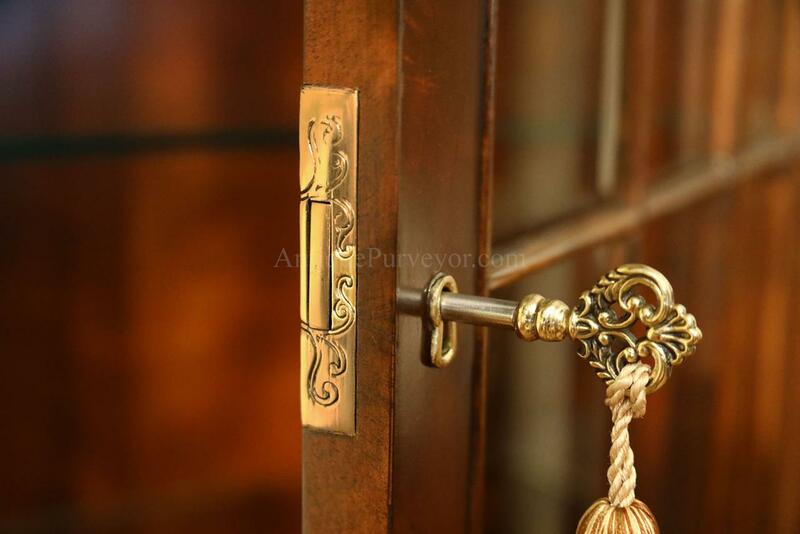 Engraved brass hinges and locking hardware. 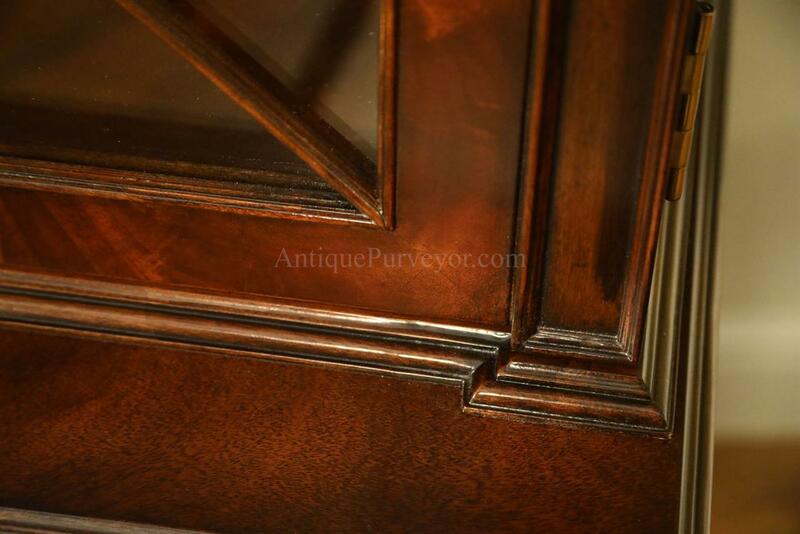 Swirl mahogany raised door panels. 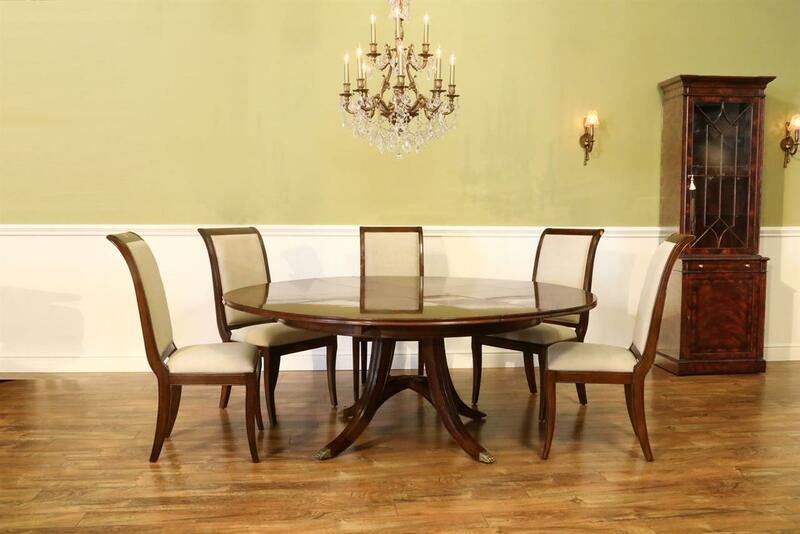 LED light kit. 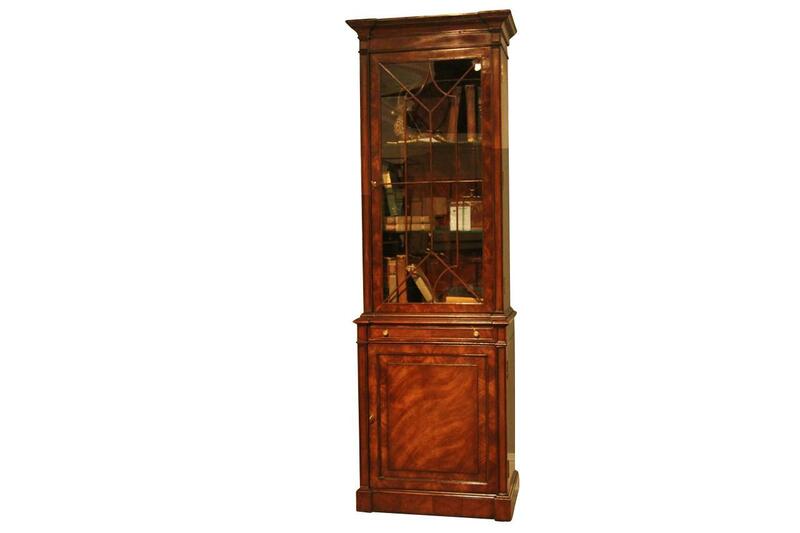 Quality display cabinet with swirl mahogany Veneers inside and out.